– Maiwada, Ahmed. Musdoki. Abuja: Mazariyya Books, 2010. – Ogezi, Isaac. Waiting for Savon. Lagos: Hybun, 2009. – Okenyodo, Odoh Diego. From a Poem to Its Creator. Lagos: Hybun, 2008. I have recently read three books that have necessitated this piece. These are Ahmed Maiwada’s Musdoki (2010), Isaac Ogezi’s Waiting for Savon (2009), and Odoh Okenyodo’s From a Poem to Its Creator (2008). I have intended this to be an omnibus review, but also one that will offer me the amplitude to digress beyond the chemistries of these literary pieces. While I strongly resist the temptation to use the now clichéd “avant-garde”, even if as an epithet, for these budding writers, it is something of newness, of difference; or, precisely, the aspirations of these books to distinguish themselves that attracts my attention. But more importantly it is my perception that the desires of these writers to rise above the status quo, as it were, are more dramatised in their taut literary expressions, and their attempt at evolving their distinct idioms. This is a basic consciousness that most people who parade themselves in Nigeria today as writers lack. But it is fundamental to what the British scholar and theorist Derek Attridge calls the singularity of literature. So, in spite of its dull cover, the disgusting error on its spine, the distracting horror picture that seems to be mistakenly placed beside the ISBN, Maiwada’s Musdoki is a narrative ambitious in its form and content, attention-commanding in a way. Its most conspicuous ambition is to be different. To some extent this novel asserts its difference. It has a confident literary language, the type rare in our time. It invests in such a common thing as love –especially amidst our grand political theme! – a remarkable depth of imagination, swinging between the physical and the metaphysical. It exudes an admirable literary realism, narrativising Lagos without being anthropological; one of the things that dent Seffi Atta’s realism in Everything Good Will Come, even Chris Abani’s in Graceland. Unlike Abani and Atta, Maiwada does not seem to have written Lagos for a prejudiced audience. His Lagos is fully dramatised, acted out, and the reader is not consciously dragged out of the Musdoki-Rita tale to see what makes Lagos different from London or New York. Following Maik Nwosu (in Invisible Chapters) and Helon Habila (in Waiting for an Angel), Maiwada fictionalises that spatial tension calls Lagos and its causative dominion over those brave enough to inhabit it. But we must hasten to note that while protagonists of Lagos narratives in recent Nigerian fiction are (self-styled) activists, struggling on the margins of the society, the bespectacled Musdoki is a Hausa middle class young man who first arrives in Lagos as a law student and later practices in Lagos as a lawyer. The Lagos we have here is thus that of the middle class, with occasional picturesque description of the slums. Nothing in the novel symbolises this more than the boat ride Rita gives Musdoki. The character of Rita is impressive. If you have read his previous books of poetry, Saint of a Woman and Fossils, it does seem that Maiwada’s imagination is fertile for creating women, and love – in that intersubjective scenario that has come to characterise some of our recent poetry. Almost all collections written today have a section for love poems. The intrigues, the suspense, the ironies, the play of imagery surrounding Rita as a person and as a spirit, sustain the reader’s interest throughout the novel, often nudging the reader towards one quite critical question: in what way is Musdoki justified to be the main, eponymous character of the novel? If this novel did aspire to be named after a character, that character should have been Rita. I would not charge Maiwada of being chauvinistic, for all he has done in this story is creating a rounded Rita who dominates the story and preoccupies our minds. And if he is chauvinistic by projecting Musdoki as an eponymous hero, as he has obviously placed him on a higher moral ground, then I think this has rather reduced the weight of the novel. In contrast to Rita, Musdoki, in spite of the underlying biographical insinuations, is a compulsive product of artificial creation. Even Maiwada himself would have felt the sense of narcissistic delusion surrounding the almost self-professed probity, correctness, and morality of Musdoki. This is not to say morally upright characters do not exist; but this is to say such characters can destroy good stories. 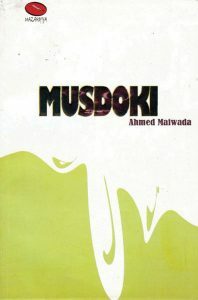 The redeeming factor here, one that typifies Maiwada’s talent for fiction, is that his Musdoki is dramatised – Musdoki is activated in the realm of action, not in that of ideational elocution. He is constantly in action and, although some of the actions are annoying to us, they define and register his characterisation. What I call Maiwada’s politics of truth, like Chimamanda Ngozi Adichie’s politics of truth in Half of a Yellow Sun, is a disturbing, diverting, part of this otherwise fantastic story. In a way Maiwada seems to be responding to Adichie and others who come to fiction with an ethnic agenda orchestrated through the urge, even urgency, to “tell my own story”. Maiwada also tells his own story in Musdoki, his way of constructing a counter-discourse. So, the “Ojukwu war” surfaces in the novel as the Hausa men Musdoki travels with tell their own “truth”, justifying their innocence, especially those of them in the enclave of Aminu Kano’s NEPU. They blame Ojukwu, nicknamed “Dan Mama”, for taking hasty decisions that reeks of greed. “Dan Mama actually misjudged the strength and cohesion of Nigeria at that time…” (100). Further: “They [the Igbo] formed a majority in Sabongari in those days. So they went from stall to stall; from house to house, killing Hausa men, women and children” (101). If this is true, it is one that Half of a Yellow Sun will certainly not assent. If for Adichie it is the Igbos who are killed, and for Maiwada it is the Hausas, what about other people, not Igbos nor Hausas, killed during the war? Who tells their own stories? I find Musdoki guilty of ethnic propaganda as Adichie’s over-praised, hardly scrutinised, Half of a Yellow Sun. Compared with novels such as Isidore Okpewho’s The Last Duty, and Festus Iyayi’s Heroes, Adichie’s bigoted “telling my story”, and Maiwada’s dogmatist response, attest to the use of the civil war in our time for the ethnicisation of what ordinarily would have been a poetic, humanistic truth. In a bid for each person to tell his/her own story, histories become fictions, and everyone’s history – in line with the post-structural idea of history – depends on his/her ability to narrate. This individual capability to narrate one’s own story, and the need to mediate such stories for the sake of the nation, of humanity, is the concern of Ogezi’s Waiting for Savon. Modelled on, or adapting, Samuel Beckett’s Waiting for Godot, Ogezi in this three-movement drama presents three characters, Mbati, Sarki, Ego, each telling his bigoted, sickened, psychopathic story. Like most absurdist dramas, Waiting for Savon is rich in symbolism and imagery. The character Mbati symbolises the Yoruba ethnic group, Sarki the Hausa/Fulani ethnic group, and Ego the Igbo ethnic group. We can discern another layer of symbolism, satirical as it is, in the meanings of the names Mbati (n gbàtí: tribal talkative), Sarki (ruler/emir), and Ego (money), a conspicuous psycho-social way of constructing ethnic pride and/or derogation in Nigeria. In this drama, the Hausa man considers himself as a born ruler, and he reflexly, impulsively, mindlessly, refers to the Yoruba man as a “tribalist” and the Igbo man as a rapacious lot. But Waiting for Savon is not tilted towards valorising any ethnic group; it is in fact an attempt to satirise ethnic jingoism, which I think it succeeds in doing, and to direct our attention to the need for a genuine discourse of nationhood. “Savon” seems to be an acronym for “saviour of Nigeria”; or a pun on the word “saviour”. The vital statement of this drama is that the entire being of Nigeria, with such ethnically intolerant, incoherent inhabitants, is a sham, an absurdity – and herein is the provocative thematic thrust aimed at hurting Nigerians out of their self-damaging ethnic complacency. Ogezi’s historicisation is therefore one that begins from independence, when ethnicity punctures the fragile nation, paving way for a military that is cruel, rapacious, and above all not detribalised. And when the civilian takes over, it is still to wreck the nation. The water jug, a symbol of national wealth, is one that ends the drama where it is broken by Mbati who ought to have taken good care of it and pass it on to either Ego or Sarki. Ogezi here traces the history of Nigeria to the point of the return to democracy where power was given to a Yoruba man, Obasanjo, only for him to destroy the system instead of building it and passing it on to either a Hausa man (which he in fact did) or to an Igbo man. Ogezi is able to construct a realistic ethnic discourse for each of the three ethnic groups. The speech habits, speech wisdom and colloquialism of each ethnic group are brought to life in a dramaturgic and theatrical display that keeps up the reader’s interest throughout the drama. A carefully measured humour, maintained through the unending antics of the three ethnic patriots, upholds the absurdist nature of the drama in spite of the rather serious discourse surrounding the fate of Nigeria. It is an admirable point of satirical absurdity to think of Nigeria in its expanse as a product of only three ethnic groups (really, a way of drawing attention to these ethnic groups as bullies), but it is simplistic to think, as Ogezi does, that Nigeria is crippled only by these ethnic groups’ clash of interests. Beyond the military, every Nigerian, irrespective of ethnicity, is implicated in the failure of Nigeria. It is amazing how we hold institutions, ethnic groups, parties, social interests, culpable for the dead systems in Nigeria without considering the individual’s role. It is more useful to consider the actions of the military general (as an individual general, e.g. Babangida, Abacha), of Ego (as an individual), Mbati (as an individual), and Sarki (as an individual), instead of considering their actions as those of the Nigerian Army, the Igbo ethnic group, the Yoruba ethnic group, or the Hausa ethnic group. IBB ruined Nigeria, not Hausa generals ruined Nigeria; Obasanjo ruined Nigeria, not Yoruba men. Even the idea that Obasanjo ruined Nigeria is wonky in a way; systems in a nation are not only destroyed by privileged people but also by unprivileged people. Ogezi’s drama is sadly silent on the role of the woman in either marring or making Nigeria; as if women have no place in this trajectory of national tragedy. I do think a feminine antic would have added more delicacy to the dish of masculine antics the drama offers. I also find it rather demeaning that Ogezi does not simply write an absurdist drama – which indeed befits the stupidity of ethnic patriotism in Nigeria, but adapts Waiting for Godot. There is a sense in which a dramatic adaption cannot move beyond the shadow of its source. 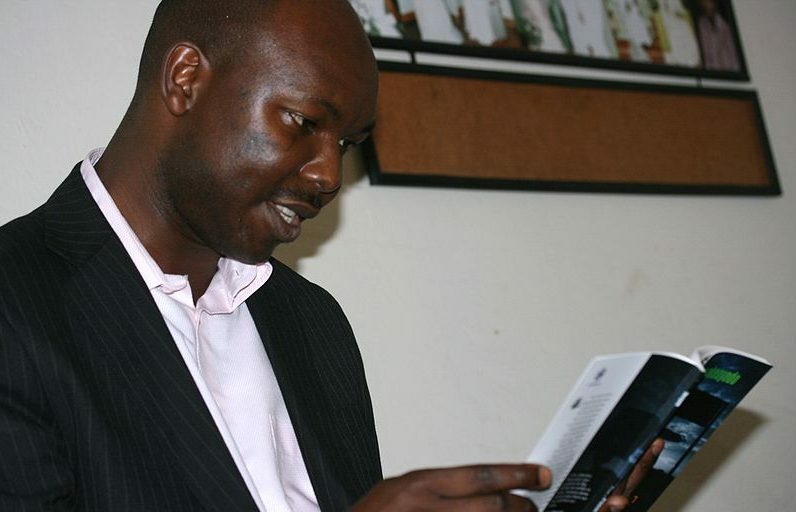 Is Ogezi as a young playwright (this being his first published play) expecting to gain fame, for instance, through an adaptation of a famous playwright? It does seem to me that if his imaginative thoughts on the unity and cohesion of Nigerians were not put in any adaption they would be stronger, especially as the adaption does not engage its source, even if in a non-dialectical way. Odo Diego Okenyodo’s From a Poem to Its Creator seems to rescue us from that paradoxical concern to confront socio-political contradictions called the writer’s burden. The concern is paradoxical because most Nigerian writers themselves, I fear, are not free from ethnic politics, from biases, from the rot, they claim to confront and combat. The poems in this volume regard their creator, rightly, as an impostor, and they seem to struggle not to be a medium for peddling any of his holier-than-thou social messages. This concept, it seems to me, is inherent in Okenyodo’s formalism. There is a conscious attempt in this volume to liberate the poem from politics of whatever kind, to give it its life, but as common with such poetry, it rather comes through as a disguise for projecting another kind of politics. It is, however, noteworthy that Okenyodo’s poetry does not impose itself on you as another tempest of wails about the Nigerian condition. This is not to say that some of the poems are not political; there are indeed political poems, such as “endangered species”, and there is a social vision echoing through the running motif of the poem. But this collection is one that is primarily out to first tease and tickle the reader before unloading its social messages, and this is what, in my view, any literary work should aim to do. The peculiar irony and indirectness of the title “From a Poem to Its Creator” runs throughout the collection, attesting to the labour that goes into carefully, wittily, chosen diction. The idiom of the poet and the poem, Self and Other, demonstrated in the dialogic structure of the entire collection, is so telling that it draws our attention. Usually with Nigerian poetry it is the poet that speaks, that is to say, we hear the voice of the poet addressing something/someone/some people; but here it is the poem that speaks: the effect is that we are faced with the unsaid. What the poem tells the poet is usually what the poet, or most writers, do not want to hear. The questions of over-thematisation, of anaemic artistry, of bigoted memory are raised. 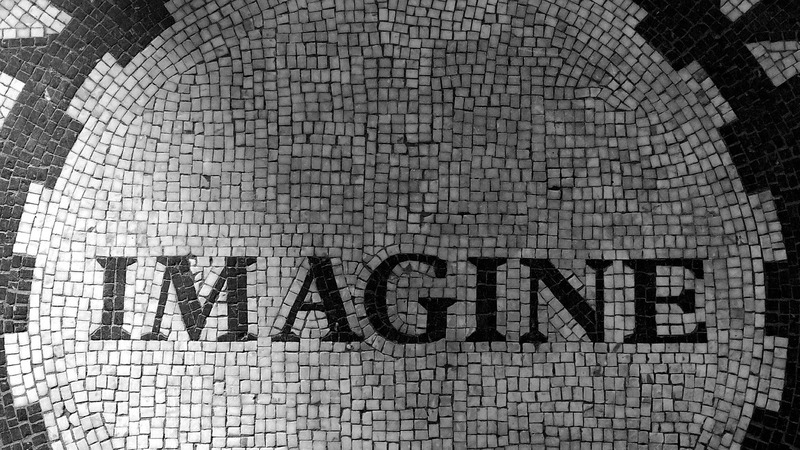 Through inexhaustible witticism we are propelled to go through the tension between the poem and its creator, emerging with certain morality about the being of art and its limits in engaging social issues. Even when other extra-artistic issues, ranging from the plight of women and children to the broken systems in Nigeria, are treated in this volume, they revolve around this tension which pervades, and accentuates the dominant metaphor of, this collection. The strength of Okenyodo’s collection is therefore in its self-reflexive dimension hinged on the poet-poem dialectic with a sustained tension that reverberates beyond the confines of artistry. But for such a tension, capable of being pursued at a depth of poeticity, to be so awash with witticism is, in my view, the very shortcoming of Okenyodo’s book. In Nigeria, perhaps as in any other society, there are a lot of witticisms going around as poetry. For people who do not like or read poetry, as most people are, it is difficult to differentiate between a wise statement and a poem. A poem ought to have a depth of literariness beyond a wise statement. In spite of Okenyodo’s experimental gestures, and the ambitious thematics of the poems, some of the poems read like wise statements, indeed pseudo-poems, easy to manufacture for anyone naturally humorous. With Okenyodo’s rather excessive witticisms some vital issues sound off as trivial. On the inventive level, it is hard to see the rigour of poetic labour in such wise listing of adjectives as “These emotions are more than a poem/a single lonely/powerless/soulless/heartless/unfleshed poem can say” (“A Poem Each Day” P.28). I do think that Okenyodo’s powerful idea of tension between the poem and its creator is trivialised with wise constructions. I began this essay by saying that what drew me to these literary works is their tendency to differ from their contemporaries. That itself is a mark of good literature. But let me, before I end, say that these works are different insofar as they are placed side by side with what are being churned out in Nigeria today, especially by writers, highly narcissistic, who are yet to go through the rigour of writing. The originality of these works is blemished by the fact that they smell too much of modernist art. But, perhaps, their rather troubling leap a century backward is to remind us that modernism, especially in Nigerian literature, will continue to linger in some disguises. What is clear to me though is that these three writers – Maiwada, Ogezi and Okenyodo – have exhibited some talent for creative writing. We look forward to seeing an imaginative work from Maiwada which frees itself from the author’s biographical compulsion, and one from Ogezi (who has won awards for dramatic adaptations) which is not imprisoned to the domain of adaption. Okenyodo will of course realise that he will run out of witticisms, and will get down to the thoroughness and severity of poetry; otherwise he will remain in the class of B. M. Dzukogi of the “Kindirmo” fame. E. E. Sule is the pen name of Sule E. Egya, a professor of African Literature and Cultural Studies at Ibrahim Badamasi Babangida University. He is a fellow of the Alexander von Humboldt Foundation and of the African Humanities Program. 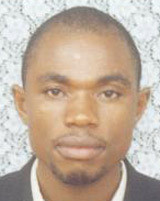 Besides academic work, Egya also writes poetry and fiction. His poetry volume What the Sea Told Me won the 2009 ANA/NDDC Gabriel Okara Poetry Prize, and the AWF/Anthony Agbo Prize for Poetry. His novel Sterile Sky was long-listed for NLNG Prize for Nigerian Literature in 2012, and won the 2013 Commonwealth Prize, Africa Region. As always, sharp and even acerbic. But am yet to find a writer anywhere in the world, who will write outside his/her personal compulsion. I just finished reading an excellent novel by a renown American writer, so funny I couldn’t contain my ribs. But I couldn’t – it was impossible to – separate the man and his politics from the work. Is there ART in the work? That, to me should be the important consideration. This mischievious proviso! Comment later. A multi-generic literary essay, far above mere reviews. I’ve not seen the like of it in recent times. Keep it up, Sule. Thanks.